Superb opportunity to ride with top FEI dressage trainers at our warmblood breeding and training facility. We welcome working students to teach in dressage, eventing and jumping. Holistic in nature and devoted to correct training and treatment of horses, we offer a wide variety of education in all areas of horse management, training, natural horsemanship and breeding. Many top riders started at Valhalla and are now professionals. We welcome self starters with ambition. Work is mainly grooming, feeding, turn-out and riding. No mucking. We have 500 acres for both hacking and galloping. The positions are immediately open and can be short or long term. Housing is on premise and student is allowed to bring one personal horse. Minimum stay is 3 months and we welcome European riders along with ambitious Americans! Calm, focused personality with love of horses as the first criteria. People skills to work with diverse staff. Will be working under owner/manager. Good physical condition and desire to learn. Good basic dressage or riding skills. Shared housing with 2 other working students. Well known, long time dressage barn with an International reputation for high quality breeding and top riders. Ideal to learn proper management skills and also increase riding and training ability in dressage and jumping. A chance to work with top quality young horses with superb gaits and temperament, well handled from birth. Opportunity to ride more advanced horses in dressage and jumping. We offer a superb opportunity to ride with top FEI dressage and eventing trainers at our warmblood breeding and training facility. We welcome working students who would like to improve their dressage and/or jumping skills. 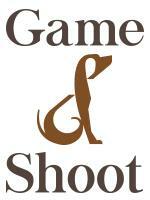 Opening is for rider with dressage or jumping skills and/or a natural horsemanshp background. Our farm is holistic in nature and devoted to correct dressage/jumping training, feeding and treatment of horses. We offer a wide variety of education in all areas of horse management, training for all sports, natural horsemanship and breeding. Many top riders started at Valhalla and are now professionals. We welcome self starters with ambition. Work is mainly grooming, feeding, turn-out and riding. No mucking. We have 500 acres for both hacking and galloping. The positions are immediately open and can be short or long term. Housing is on premise and student is allowed to bring one personal horse. Minimum stay is 3 months.